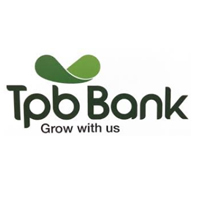 Selling of new accounts, be able to meet monthly targets on new accounts and deposits set by TPB. Education: Ordinary Diploma in Banking, Economics, Commerce, Business Administration, Finance or Accounting from any recognized University or its equivalent, Advanced Certificate of Secondary Education. Experience: Field attachment/ working experience from financial organization will be an added advantage. Applicants are invited to submit their resume (indicating the position title in the subject heading) via e-mail to: recruitment@tpbbank.co.tz. Applications via other methods will not be considered. - Applicants need to submit only the Curriculum Vitae (CV) and the letter of applications starting the job advertised and the location. Other credentials will have to be submitted during the interview for authentic check and other administrative measures and should not in any way be attached during application.